Season 2, Ep 32: Roval wins and whats in the porta-potty? WARNING: This podcast contains strong language and mature content. 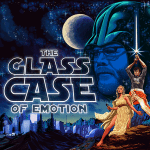 On this episode of The Glass Case of Emotion podcast, Ryan, Kim and Chuck recap Blaney’s big win at the Charlotte Road Course and talk about weird things found in porta-pottys.